Excellent service and excellent communication in advance of both collection from Geneva Airport, and from our holiday location. On time. Knowledgable drivers. When it comes to ski holidays, it’s definitely a case of ‘the more the merrier’. However, if you can’t seem to tee up some mountain time with your regular ski buddies – or you’re having trouble convincing your non-skier friends to finally come and join you – don’t just head out on your lonesome! Book yourself into one of the many solo ski holidays on offer all over Europe. Singles skiing trips have become extremely popular over the last few years; not only are they a great way to connect with other like-minded skiers and snowboarders while riding some of the world’s best terrain, they also help solo travelers to avoid any annoying extra fees for single occupancy bookings. While traveling on your own can feel extremely liberating, it can also become quite lonely when you don’t have others to share the experience with – especially if that experience involves an unforgettable powder day or conquering your first ever black run! The Ski Gathering group understands both these aspects of solo travel, and aptly promote their ski trips with the motto: “Company when you want it, freedom when you don’t”. The Ski Gathering offer casual shared-chalet style holidays in the French Alps, with locations in Meribel, Morzine and Les Gets. Solo travelers, as well as small groups of two or three, are welcome to book, and apart from sharing breakfast and dinner together as a group, you’re free to socialize as much or as little as you like during your stay. If you’re looking for a package that focuses as much on the vibrant social atmosphere as it does on the skiing, look no further than Cold Fusion Chalets in Chamonix, Les Houches and Morzine. Considered to be one of the best solo ski holiday companies in the world, Cold Fusion’s stylish chalets accommodate 27 skiers or boarders and are strictly singles-only. Cold Fusion are famous for creating a lively social scene both on and off the slopes, so you’re guaranteed to meet a bunch of fun solo travelers to shred the slopes with by day, and celebrate with by night. After a solid day of skiing the Alps with your new crew, you can all head back to the chalet for a well-deserved hot tub and après-ski session. Your chalet hosts will ensure you have everything you need to make your stay enjoyable, and the chalet’s chef will prepare a 3-course dinner for the group to share each night. Wake up the next morning to a delicious breakfast and your private minibus ready and waiting to take you back to the mountain to do it all over again! Hosting “house-party style holidays” in their fully catered chalets across Austria, Italy and France, Friendship Travel’s ski packages are all about great company, great food, great snow, and an even better après-ski scene. Friendship Travel offer a fun and highly social skiing holiday for both the young and the young at heart, with ages from 25 to 65 years welcome to book. 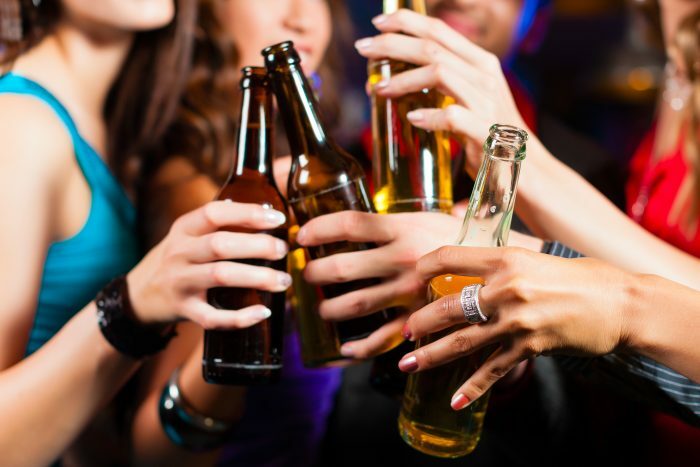 Famous for their friendly and flexible in-chalet ‘house parties’, Friendship Travel pride themselves on connecting solo travelers and building friendships, so you’ll always find someone to chat to, hit the slopes with, or share an après-ski drink. The most popular Friendship Travel chalet is the exclusive Chalet Maya located Alpe d’Huez, France. Boasting 250km of pistes to suit all ability levels, Alpe d’Huez offers world-class skiing terrain with excellent snow conditions and a reputation for beautiful sunny weather throughout the season. Offering half-board style accommodation, Friendship Travel packages include buffet breakfast, afternoon tea, and a 3-course dinner each night. Ski and chalet hosts are also on hand every step of the way helping you to get settled in, hire skis, and map out your day on the slopes. If you don’t have the time for a full-blown ski holiday, why not book a weekend or mid-week getaway with Ski Weekender? 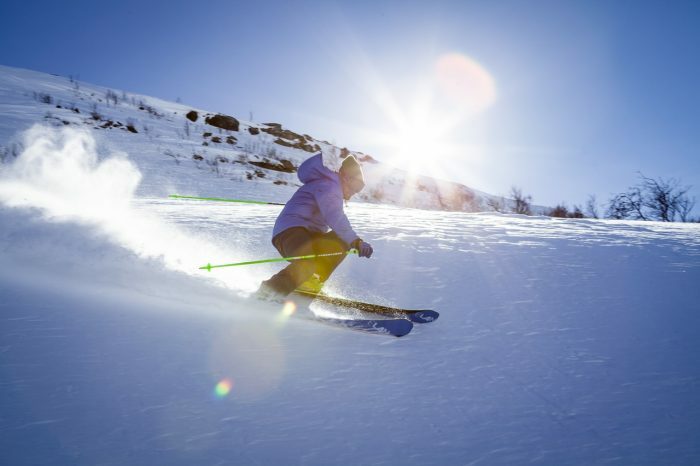 Offering short three to four day trips, Ski Weekender packages are perfect for solo skiers who want to make the absolute most of their few days off. Ski Weekender holidays are set in the French Alps at the Aravis Lodge, a sociable 40 person fully-catered chalet located 5 minutes away from the stunning resorts of La Clusaz and Le Grand Bornard. Your included ski pass allows access to both resorts so you can enjoy over 220km of some of the Alp’s finest pistes. Ski Weekender’s Aravis Lodge offers plenty of communal space to mingle with other guests, and a group dinner every night where singles, couples, and groups can all dine together sharing stories of their day and making new friends. When you book your solo snow holiday with Skiworld, the social atmosphere extends from the chalet and onto the slopes with their free social skiing service, available to all guests. Catering to a range of abilities, from those who can competently complete a red run to the highly advanced, Skiworld’s social skiing service means you’ll always have someone to ski with during your holiday in the French Alps. Their friendly ski hosts will give you insider tips and local knowledge of the area, as well as show you all the best runs each mountain has to offer. If you live close to a resort, community forums are always a great place to start when searching for some new ski buddies. There are plenty of people out there whose friends and family don’t enjoy the sport as much as they do, so they’re eager to meet new people to hit the slopes with. You might even find you get along with each other so well you’ll ski together for years to come! Another great resource for solo skiers and boarders is Mountain Rideshare, an online carpool service which can link you up with other people heading to your mountain for the day. Not only will you be able to split the travel costs and reduce your carbon footprint, but you’re guaranteed to make some great new skiing buds in the process!